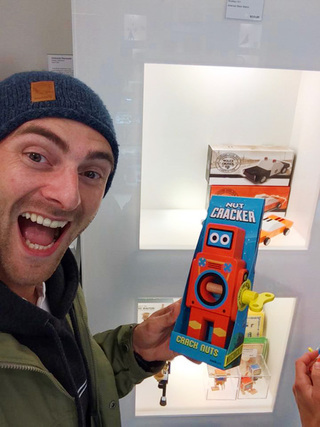 Vintage looking wind-up robots whose specialist task is to crack open nuts. 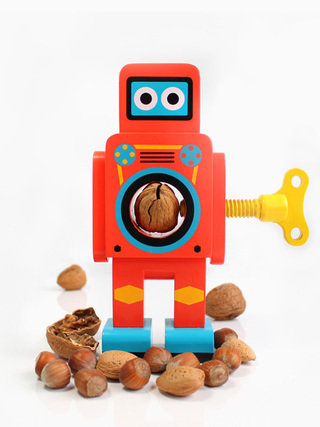 Place any nut in the robot's belly and twist the key to crack open the shell. 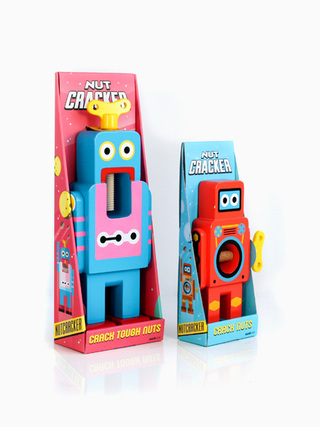 Robot Nutcrackers are easy to use and will break into any nut. 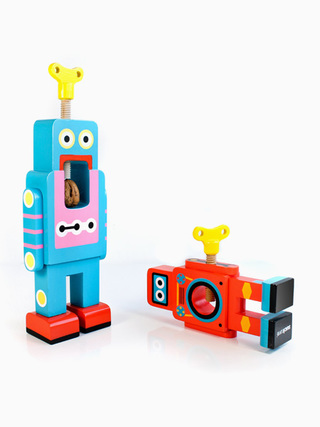 Your new best friend is made from solid beech wood and finished with a gleaming retro paint-job. 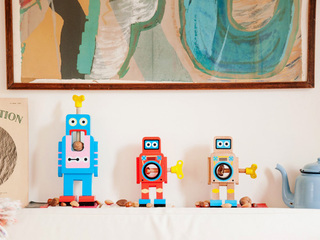 Robot Nutcrackers are represented in the MoMA Design Collection.